A reader wrote to me the other day asking for my advice about pricing one of his paintings. I thought I would use this as a chance to put together a post about how to price your art to help anyone else having the same struggle. Your experience and skill level. What customers can afford to pay. Your pricing strategy (discussed below). If your art is in a gallery or not. Your costs. This just puts a floor on what you would be comfortable with charging. These are just some of the variables which influence how you price your art. This is why it is difficult to provide advice for art pricing. Cost based means you would work out the actual cost of creating a painting then base your price on that figure so that you safely cover your costs plus whatever margin you want. It can be tedious to work out the cost of each painting, as the supplies you use may vary significantly. The last thing I would want to do after finishing a painting is work out the cost of creating it. It could result in inconsistent pricing. One painting which appears similar may be priced at a much higher/lower point due to different material costs. It is difficult to take into account the value of your time. It may not cost you much in materials to create a painting, but it may cost you substantially in your own time. It requires that you keep accurate records of all your materials and other costs. Given the above, I would not recommend that you use cost based pricing. But it is useful to understand the costs that go into your art so you can ensure your pricing strategy does cover these costs. Value based pricing involves pricing your art on the amount of value you are able to provide your customer. Now obviously with art, the actual value could be as much or as little as you could imagine, and that is why we see such wild swings in art valuations. 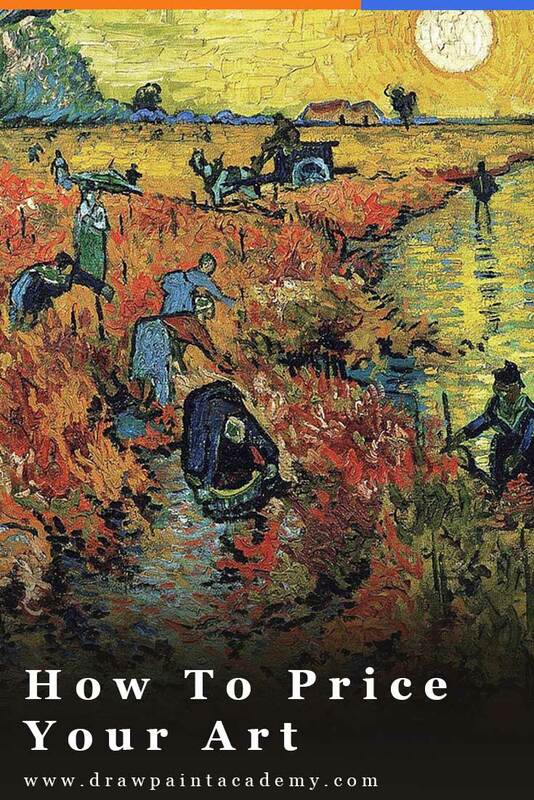 A painting could be worth substantially more to one person than it is to another person. The problem with this pricing strategy is that it is very difficult to place a value on your own art. With competitive price, you are comparing yourself to other artists who are similar to you. Ideally, you would want to price your art so that customers choose you over them. Remember, art is expensive and there is only a limited amount of wall space for art, so customers usually need to be very selective with the art they purchase. Many times an art sale just comes down to affordability. Competitive pricing is a great starting point, especially if you are new to the commercial art scene and are unable to compete on experience and reputation. Just be realistic as to what artists you compare yourself to. Also, be aware that some artists inflate the price of originals to sell prints. The inflated prices make the prints appear extremely affordable and they often do not have any intention of selling the originals at the inflated prices. With variable based pricing you would price your art based on a certain variable, which is usually the size of the painting. This is my preferred method of art pricing, as it is consistent and easy to determine. The most common variable based pricing strategy for art is $X per square inch. For example, if I had a painting which is 12x16 inches and I wanted to charge $2 per square inch, the price of the painting would be $384 (12x16x$2). All you need to do is come up with a variable price which you will charge. Some of the things which will influence this figure are discussed earlier in this post ("What Determines The Price You Can Charge"). You could also charge on a per hour basis. However, this may lead to inconsistent prices if you spend lots of time on one painting and not much on another. Do not price your art too low due to fear. Pricing your art at a low point could be a viable strategy, but do not do it just out of fear that people will not buy at higher price points. Pricing your art too low could also deteriorate and cheapen your public image. Do not think you can ignore your competitors and the general art market. This is important information which will influence how you set your prices. There is such a thing as pricing too high. You need to be reasonable. If you do not have much experience, then just start relatively low and work your way up. If you are not sure how to price your art, then just go with a price per square inch. This is easy to calculate and will ensure that there is some kind of consistency with the pricing of all your paintings. Try not to price purely based on sentiment. Just because an artwork has special meaning to you, does not mean other people will place the same sentimental value on your art. If a painting has sentimental value to you, then just consider keeping it. You might want to consider pricing your small artworks at a lower range so you can penetrate the market and build your customer base and set your large artworks at a premium for those who want more from you. If you send me a photo of one of your paintings and ask me how you should price it, my answer will be…. it depends. You are consistent with your pricing. You do not need to spend much time coming up with a price for each painting. Your art is affordable, especially if you are new to the commercial art scene. At the very least, the price should cover your costs. I think it is better to price high than low. If you price too low, then you may diminish the value of your work and you will have less incentive to market your work. Also, there is nothing wrong with not selling your art. You may want to keep art for sentimental reasons or gift it to friends or family. And do not get upset if your art does not sell. It is extremely difficult to sell art. 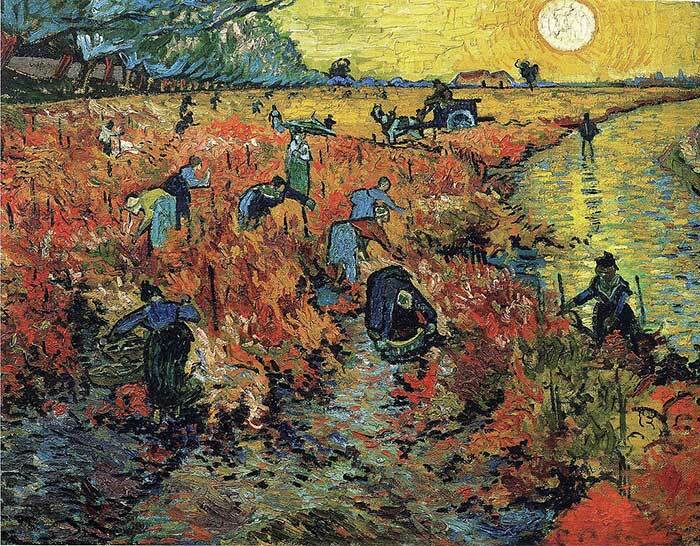 Just remember that Vincent van Gogh is only thought to have sold just one painting during his lifetime, being the Red Vineyards Near Arles. Yet now he is one of the most famous artists of all time. These have just been my personal thoughts and I am in no way an art pricing expert. Let me know how you price your art in the comments. I never mention a price and nobody asks for! I never sell something anymore! I usually price a painting at double what it cost to frame it professionally and at an amount $50 more than the last one of a similar size. If I want a painting to sell, I price it at an amount that seems reasonable, not at an amount that would require it be insured. I have found there is no pat answer for this one – I have sold at what I considered to be ridiculously high prices, and have yard-saled art at close to cost of materials. And everywhere in between. I paint so much, that I am sometimes overwhelmed by the sheer volume of art I end up with and give it away just to get rid of it. I am not a fan of high prices just because it is art – a painting must have all of my pre-requisites (skill, experience and most important; love of art) before it deserves a high price. I have often painted with the sole purpose of surviving – in other words, painting what others fancy they want and selling it cheap – and counted myself lucky. Artists tell me that low prices degrade the art world – and I regularly see works with huge prices that exhibit not a bit of skill or love for art. Art becomes precious very quickly when money is the bottom line. So here is my solution; I want to make a living wage. I have years of experience in my craft, I am a master – but still a work in progress. What hourly wage would you expect to pay a carpenter, or a gardener – I will be happy with that. I agree! I am so happy I found your website, blog and free online painting course. How do you get printing rights? Are you referring to printing copies of your own works? What are some of the best sources to sell online? I’ve had zero luck with Etsy. Thanks! -Raquel. I think Etsy is great for funny little unique things, but it can be hard to separate yourself. Most of the online places to sell your art rely on you doing the marketing for yourself. So you may want to ask the question, do you have a following? If not, you may need to spend more time to building social media presence, improving your website, etc. I hope this helps Raquel. Never give up. Thanks. Your posts are indeed valuable. As I wrote to you earlier, I am rather new in this field and had been seeking answer to this one question. I know what I need to do. If you are visiting India any time, it shall be a pleasure to host you.